Miss Jeanies Catering encourages collaboration: a personalized process between herself and her client that unfolds without a formula, with meaning, zest and true creativity. Since 1992, this anti-cookie-cutter caterer has never repeated a party. Each event is a unique celebration…from formal gatherings of a few…to cocktail galas of hundreds. 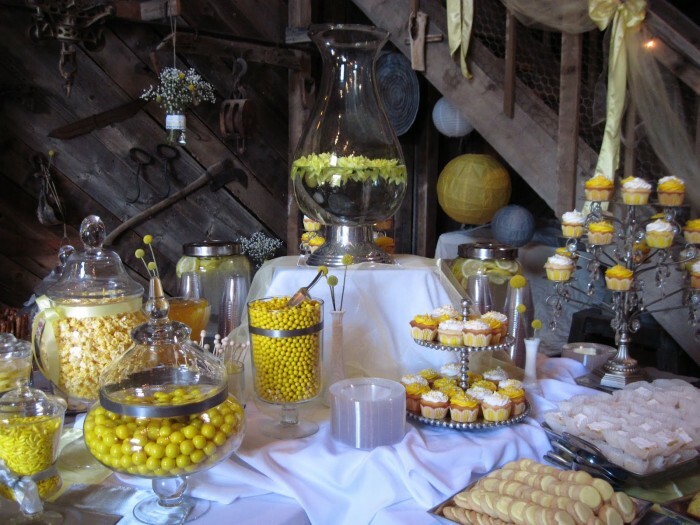 Synchronizing all the services necessary for a successful event, Miss Jeanies provides the food and the planning. Exciting, inventive cuisine is artistically presented in venue spaces designed so that food and atmosphere are fluent. Each affair has a certain magic–a fun, whimsical air. Achieved seamlessly, because unlike most catering companies, Miss Jeanies design and décor can be done in-house thanks to a creative partnership with designer, Deb Wyler. Utilizing the wide array of centerpieces, decorative fabrics, elegant, unusual serving pieces, glassware, platters and paper products stored on site, Deb Wyler creates an overall “look,” a light touch to a theme, or an individual accent that brings the sparkle to the bash. At Miss Jeanies all these elements come together to form an artful, culinary collage.